Although we offer the main UK channels, to watch all channels from abroad, you would need a VPN, satellite system or an IPTV system. However, many systems are illegal so you would have to check on the law in your country before paying out for a TV system that could be shut down at any time. As a partner of Filmon, British TV Channels can offer you the main UK channels that you can watch free and legally from most countries in Europe, South America and Asia. 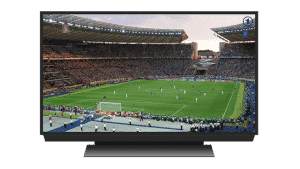 In Spain and Portugal, it seems that most bars and holiday resorts rely on IPTV systems that offer Sky UK channels, including sports channels such as Sky Sports, BT Sports and BEIN Sports. The further south you travel, the more bars and resorts rely on IPTV systems. 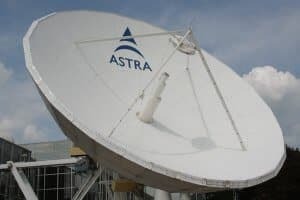 This is due to the fact that to run a satellite system, you now need a dish bigger than 3 metres if you are further south than France. A 3 metre dish is very costly and it is still illegal to take out a subscription for Sky UK in a foreign country. IPTV systems are also mostly illegal in any country outside the UK. Most main UK channels are available online and there are services that although blocked outside the UK, can be accessed using a VPN (Virtual Private Network). A VPN offers complete privacy as it is a system that encrypts your sent and received data by connecting to a datacenter, hiding your IP address at the same time. If you connect to a UK VPN server, your IP address will be that of the UK, unblocking most services that are only available within the UK. There are no laws against using a VPN service for privacy and protection from unsecured hotspots, however, you still need to check with any service provider before accessing their service through a VPN to watch all channels online. The options to watch all UK channels abroad are getting lesser and lesser each year. Luckily services such as British TV Channels and Filmon at least give you the option to enjoy most channels online for free abroad. If you are looking for live sports, Premier League, Champions League or Europa League, many foreign countries have more games shown live than you actually get in the UK. As long as you don´t mind foreign commentary you can still enjoy the match! Add our service and you can watch almost all channels online and on foreign TV channels.